A powerful new addition to the SAR toolbox, AirFlare Search Technology offers a quantum leap in search speed and efficiency, while significantly reducing cost and risk to personnel. 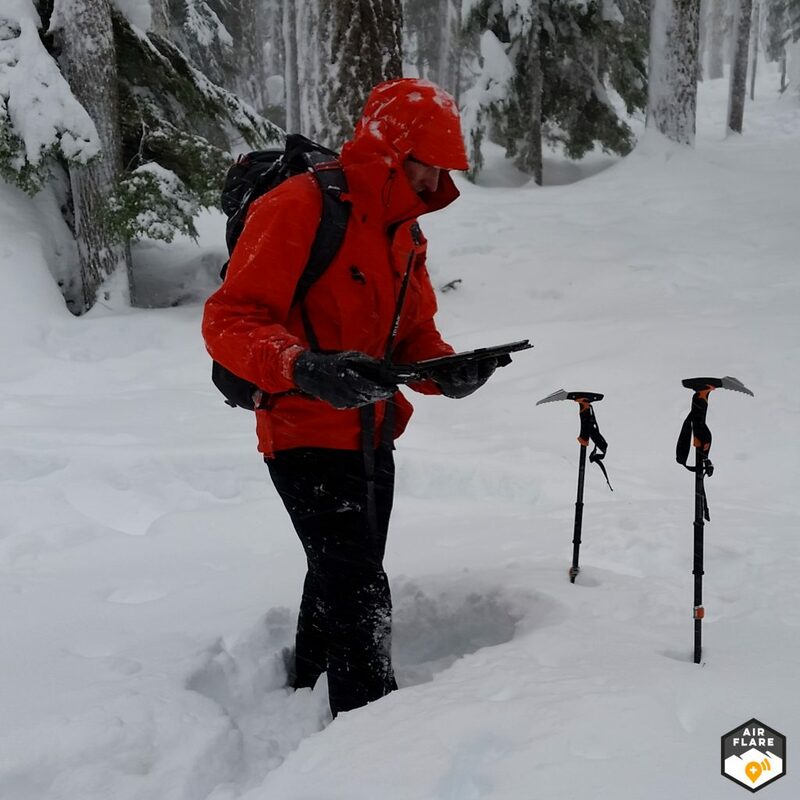 AirFlare Search Technology never blinks and sees through trees, foliage and other challenging terrain obstacles – enabling detection of lost adventurers who have gotten off trail, sought shelter or otherwise would be invisible to a passing search team. AirFlare Search Technology sees where eyes can’t. On the ground this makes otherwise formidable terrain searchable. Mounted on a drone, AirFlare Search Technology can punch through heavy canopies where cameras and thermal imaging devices alone are limited. With features like Location Return, AirFlare Search Technology can often determine a lost subject’s GPS coordinates before a search team can be assembled. In the field, AirFlare Search Technology far outperforms detection ranges achievable by visual sight and sound check. Once detected, AirFlare Search Technology pulls GPS coordinates off the lost subject’s phone within seconds. AirFlare Search Technology is easy to use and readily integrates with standard search protocols and procedures. Compact and lightweight design, configurable within minutes, and easily deployable without extensive technical training – AirFlare Search Technology enhances search effectiveness without sapping resource time and focus. When the lost subject is an AirFlare subscriber, AirFlare Search Technology is configured to search for their specific phone, eliminating the possibility of a false detection. AirFlare Search Technology can also be configured to search for a lost subject’s phone who is not an AirFlare subscriber – making it an invaluable tool universally applicable on any search. AirFlare Search Technology is free to search teams and is designed to minimally impact existing search protocols. The entire process from search initiation to configuration to deployment can be done in under two minutes. Additionally, AirFlare Search Technology can be deployed to teams not familiar with the technology and with minimal instruction. For teams on the ground and for drones in the air, AirFlare Search Technology is an extremely powerful set of tools with a very low deployment cost. Transforms an adventurer’s mobile phone into a wilderness rescue beacon that provides search teams multiple ways to find them on and off grid. AirFlare adds no weight or bulk to a pack, works with limited or no cellular service, extends off-grid battery life to a week or longer and requires no user action to be searchable. 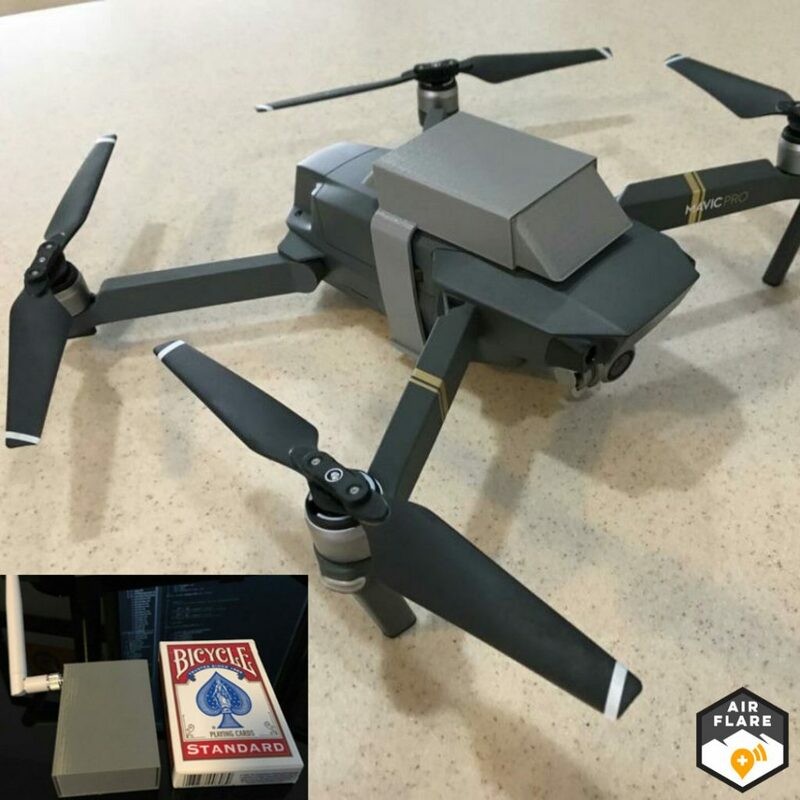 About the size and weight of a deck of cards, AirFlare Detector is used by ground and aerial teams to detect the location of a lost adventurer’s phone. It fits nicely in a jacket pocket or in the top of a backpack, and is specifically designed to be transported in the air via drone. AirFlare Detector performs well through trees and foliage, enabling searchers to see where eyes can’t and often beyond the range of sound check. Once a detection is made, AirFlare Detector offers powerful tools to home in on the location of the lost subject. An app for search teams used to control AirFlare Search Technology. 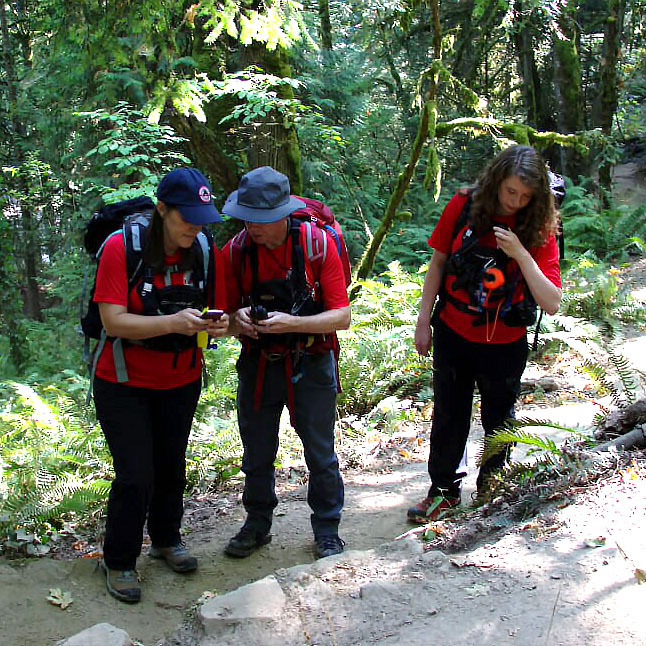 Search teams use Field Console to ping the GPS coordinates of an AirFlare subscriber’s phone when they become the subject of a search, to configure AirFlare Detector to search for the lost subject’s phone in the field, and to determine the exact location of the lost subject’s phone once a detection is made. When an AirFlare subscriber becomes the subject of a search, a notification is sent to their phone. If the phone is in cellular service it will return its exact GPS coordinates. When a Detector comes within range of the lost subject phone, the Detector instructs the lost subject’s phone to return its GPS coordinates to the search team. AirFlare Search Technology is an extremely powerful second set of eyes designed to be deployed on ground and aerial teams with minimal disruption to existing search protocols. The ability to see through trees and foliage significantly increases probability of detection. 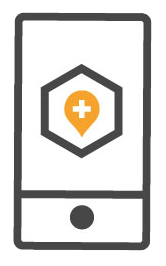 When a Detector detects the lost subject’s phone, the searcher is alerted the subject is in the vicinity, and very often can retrieve the exact location of the lost subject’s phone. AirFlare Search Technology integrates with common GIS platforms. 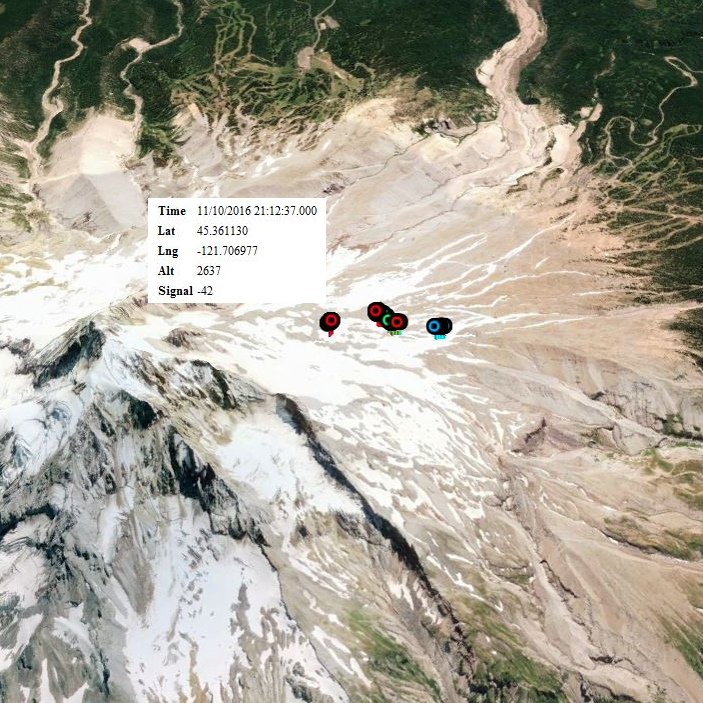 Search results can be viewed in the field or shared to Incident Command with the push of a button from a searcher’s mobile device. Visualization and analysis of search results provides valuable insights to support ongoing mission planning. How Does SAR use AirFlare Search Technology? AirFlare Search Technology provides Search Teams multiple mechanisms to locate a Lost Adventurer,* covering both on-grid and off-grid scenarios. When an Adventurer installs the AirFlare app on their mobile phone they complete a user profile. The Lost Adventurer is sent an email informing they are the subject of a search and asking them to immediately respond (via contact information specified by the Search Team). The Lost Adventurer’s phone is sent a notification. If the phone is within cellular service it will return its exact GPS coordinates, unless the Adventurer declines the notification within 20 seconds. If the Lost Adventurer has opted into Location Caching: When the Adventurer becomes the subject of a search, the last known GPS coordinates within cellular service are available to the Search Team. (Release Pending). An AirFlare Detector is configured to search specifically for the Lost Adventurer’s phone in the field whether the phone is in or out of cell service. When a Detector comes within range of the subject phone (typically within a half mile), the Search Team is alerted that the subject is in the vicinity. The Detector can then be used as a homing device. Once a connection is made, whether on or off grid, the Detector prompts the Lost Subject phone to send its GPS coordinates back to the Search Team. * If the Lost Adventurer is not an AirFlare subscriber, an AirFlare Detector is configured to search for a Wi-Fi address known to be, or suspected to be, stored on the subject’s phone. (E.g. a home or work network, or the network of a frequented coffee shop). When the Detector comes within range of the subject phone (typically within a half mile), the Search Team is alerted that the subject is in the vicinity. The Detector can then be used as a homing device. Can AirFlare Search Technology be used to search for a non-AirFlare Subscriber? Yes. If a search of the AirFlare Registry does not return the lost subject, AirFlare Search Technology can still be used to search for the lost subject’s phone. AirFlare Detector is configured to search for a Wi-Fi address known to be or suspected to be stored on the Lost Subject phone. (E.g. a home or work network, or the network of a frequented coffee shop). This information can typically be gathered through emergency contact, friend of family interviews. When the Detector comes within range of the lost subject phone (typically within a half mile), the search team is alerted the subject is in the vicinity. The Detector can then be used as a homing device. Searching for a lost subject phone via a non-AirFlare Wi-Fi network is not as effective as searching for an AirFlare subscriber. That said, it takes less than 2 minutes to configure an AirFlare Detector for a search, so there is no downside and potentially enormous upside to deploying AirFlare Search Technology on searches where the lost subject is not an AirFlare subscriber. Is AirFlare Search Technology practical for all searches? Or only certain scenarios? With potential exception of a mission where the subject’s exact GPS location is known (and confidence they’ll stay put), AirFlare Search Technology makes sense for all lost subject searches. 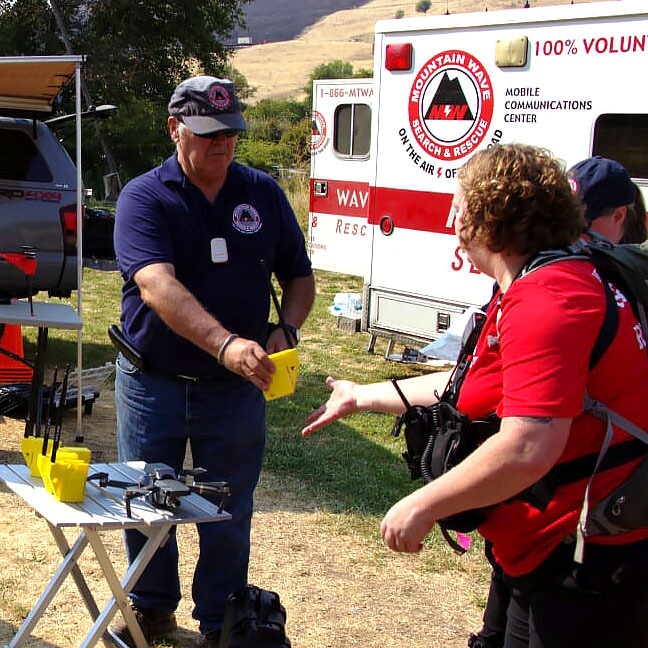 If the lost subject has AirFlare and is in cellular service, a 30 second Registry search from a SAR team member’s phone can return the subject’s exact location. One additional minute is all it takes to configure a Detector for deployment. For lost subjects who do not have AirFlare, some additional information is needed from an emergency contact to configure a Detector, but once known, Detectors can be configured for search within 2 minutes. Is AirFlare Search Technology difficult to learn? No. Search Team personnel can typically be onboarded and trained in a couple hours. 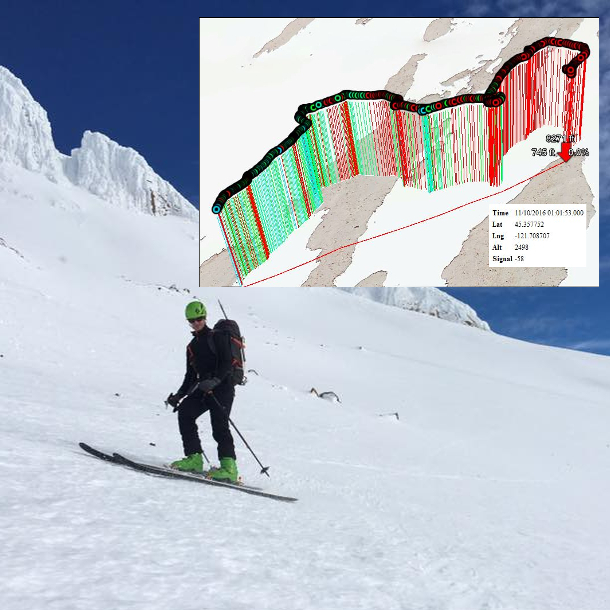 Like all new tools, AirFlare Search Technology takes practice to fully integrate and make habit. While the technology itself is very easy to learn, best to incorporate AirFlare Search Technology into team practices and mock searches. Does everyone on the Search Team need to be trained? No. Like with other SAR disciplines, people specialize. Personnel who are responsible for conducting AirFlare Registry searches and for configuring Detectors for deployment should receive training. Ideally, personnel who carry AirFlare Detectors in the field also receive training, but this is not mandatory. With minimal “on-the-spot” instruction, Detectors configured to search for a lost subject can be deployed to search personnel who have no prior familiarity with the technology. How much does AirFlare Search Technology cost? AirFlare Search Technology is free to search teams. Once adopted, we simply ask that search teams incorporate AirFlare Search Technology into their trainings and searches, and also support us in socializing our technology to their local adventurer community. INTERESTED IN AIRFLARE SEARCH TECHNOLOGY? Having just gone live this summer, we are still heavily engaged in product testing, shaping our technology roadmap and developing user guides and training material on the use of AirFlare and drone technologies for Search and Rescue. Feedback from the SAR community is invaluable as we engage in these activities, and we are actively seeking to expand our SAR partnerships as we move forward. If you are interested in working with us, or simply want to learn more about AirFlare, please contact us via the form below. Thank you in advance! We’re excited to work with you!